We have challenged our network to raise over $375,000 for the fight against cystic fibrosis, and the energy we are already seeing behind this year’s Shine Month has me confident our franchise partners will drive us to exceeding this goal. To find a Shine Month event near you, visit https://www.carstar.com/about/carstar-cares/ or https://www.carstar.ca/en/about/carstar-cares/soaps-it-up/. CARSTAR – a part of the Driven Brands, Inc. family of automotive aftermarket franchise brands – is North America’s largest Multi-Shop Operator Network of independently owned collision repair facilities with more than 550 locations in 32 states and 10 Canadian provinces. CARSTAR Auto Body Repair Experts in the U.S. and CARSTAR Collision and Glass Services in Canada deliver national scale, consistently high-quality vehicle repairs, repeatable outcomes and the industry’s highest customer satisfaction ratings; all repairs are backed by a national warranty and service guarantee. 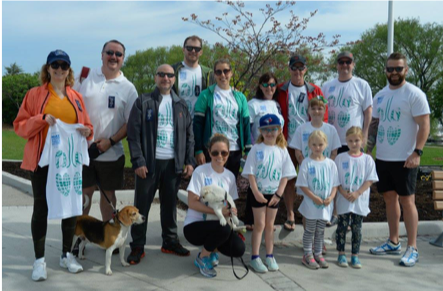 Through a variety of fundraising initiatives, CARSTAR, its franchisees, partners and employees have raised over $3 million for Cystic Fibrosis Canada, and has made fighting cystic fibrosis its cause, North American wide. For more information visit http://www.carstar.com and http://www.carstar.ca and follow us on Facebook and twitter. CARSTAR is actively seeking new franchisees.